I read on the internet that root canals cause cancer. Is this true? Unfortunately, sources that rank high on a Google search do not always rank high on truth. So let’s set the record straight: Root canal treatment does not cause cancer or any other disease. The fact is that root canal treatment—performed 25 million times every year by skilled dental professionals—stops infection and saves teeth. Let’s take a closer look at what root canal treatment is, why it’s needed, and where these discredited theories come from. A smile reveals the pearly-white crowns of your teeth. But each tooth also has one or more roots that extend down into the bone beneath your gums. In addition, there is a hollow space in the center of each tooth called the “pulp chamber” that contains living tissue (pulp). The nerves and blood vessels of the pulp pass through narrow spaces called canals, which branch from the pulp chamber and out through the root tip. Once outside the tooth, they connect with the rest of the body. Now let’s go back to that pearly-white tooth surface you can see. This is enamel, the hardest substance in your body. It protects teeth from damage and harmful bacteria. But sometimes a tiny hole (cavity) or a crack develops in the enamel that allows bacteria to get in and begin eroding the tooth. If left alone, these bacteria may reach the pulp tissue, causing tooth destruction, inflammation and pain. If this inflammatory process remains untreated, the pulp tissue can die off—leading to bacterial infection. An infection inside the tooth may pass through the root canals into the surrounding tissues, bone and supporting structures. This infection can result in a painful jaw abscess, and in rare cases may be life-threatening. In some cases the pain may eventually subside or go away. However, the infection won’t—even with the use of antibiotics. Removing the infection is necessary to safeguard your oral health and even your general health. There are only a few effective treatment options to address an infected tooth: You can extract (pull) the tooth; you can get a “root canal”—shorthand for what dentists call endodontic (“endo” – inside; “odont” – tooth) treatment; or you can get an apicoectomy, a minor surgical procedure that involves cutting out the infection from the end of the root. Only endodontic treatment or apicoectomy can actually save the tooth. Endodontic treatment involves removing inflamed, diseased pulp tissue and their byproducts, disinfecting the tooth, and then sealing the inner chamber and the canals so that bacteria will not be able to get back in. This is done in a dental office, usually under local anesthesia. The tooth is then restored with a permanent filling material and often crowned (capped) to strengthen it. A root-canal-treated tooth can last decades with proper care. Dentists who specialize in this treatment are called endodontists. They go to specialty school for an additional two years or more after dental school to learn state-of-the-art techniques, often utilizing tiny instruments, microscopes and digital imaging. They do this because they want to stop disease, not cause it! The root (if you’ll pardon the pun) of the false assumption that endodontic treatment can cause cancer is based on false theories of an early 20th century dentist named Weston Price. He believed that leaving a “dead” organ in the body (in this case, the tooth) leads to numerous seemingly unrelated maladies. Yet getting rid of dead tissue is exactly what root canal treatment is designed to do—with the significant bonus of keeping the tooth! In 1951, the highly respected Journal of the American Dental Association, an evidenced-based publication, devoted an entire issue to re-examining Dr. Price’s ideas. Not surprisingly, his conclusions did not hold up to the standards of modern scientific research and dental care. From that point on, endodontic procedures became the preferred method of treating salvageable infected teeth. And since then, advancements in medicine, techniques and technologies have made root canal treatment more predictable and successful than ever. As for the risk of cancer specifically, a study published in a journal of the American Medical Association (JAMA Otolaryngology—Head & Neck Surgery) found in 2013 that cancer risk does not increase after having a root canal treatment. In fact, the study showed that dental patients with multiple endodontic treatments had a 45 percent reduced risk of cancer! 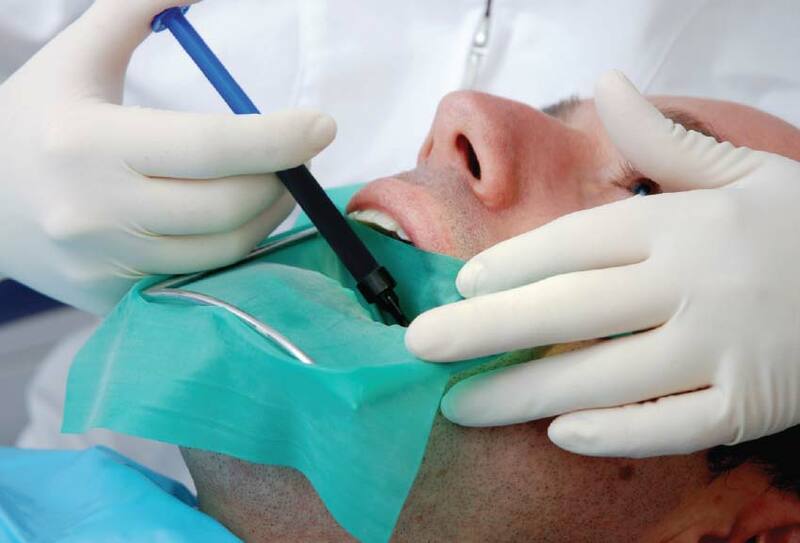 This is not to say that root canal treatment doesn’t have any risks—all medical procedures do. For example, while the success rate of root canal treatment is very high, there is a risk that it won’t work the first time and the infection could return. Soreness and lingering numbness from local anesthesia are also potential risks. Yet tooth extraction also has risks that include infection, soreness, lingering numbness and accidental damage to adjacent teeth. In addition, there is the added expense of replacing the extracted tooth if one chooses to so do. The choice of whether or not to undergo root canal treatment is yours alone. It’s important to discuss all risks and benefits with your endodontist or general dentist fully so you understand your options. And in order to make an informed decision, it is essential to have the most up-to-date evidence-based information available—not discredited antiquated theories. Don’t hesitate to ask your endodontist or general dentist if you would like to know more. You can also visit the website of the American Association of Endodontists for scientifically accurate information on root canal procedures.